### Visibility Make the answer easily visible by featuring it at the top of the thread ### Alternative Answers There's always more than one solution to a problem. 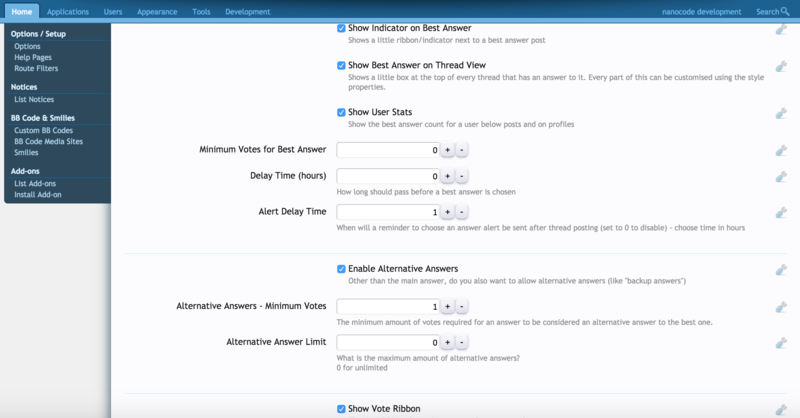 Feature other answers as "alternative answers", bringing visibility to all solutions to a problem. Bring more visibility to popular answers by highlighting them with a special background colour. Users can showcase their portfolio of answers right from their profile, with links to their best and alternative answers. Every community has different needs, so Community Answers makes it easy for you to configure the add-on to your needs.